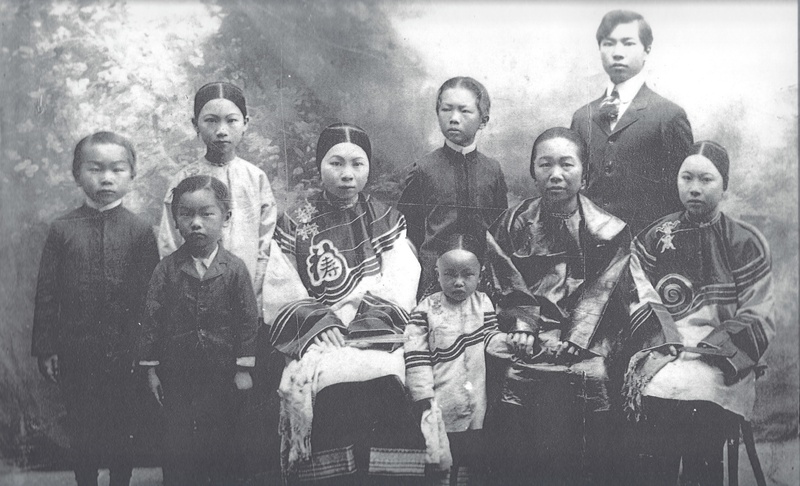 Widowed Chock Sai Shee (See) and Family taken about 1905. It includes the first Son King Lun before he went to China as part of a swim team where he unfortunately drowned. Left to Right: 3rd brother King Chee, 3rd sister Ah Lan, 2nd brother King Ho, 1rst son King Lun. Front row: 4th son King Tan, 1rst sister, baby sister Bernice, Chock Sai Shee, 2nd sister Kum Pung( My popo).